The al Hadath TV station reported Saturday that warplanes of the LNA had struck several targets near El Feel; however, no damage was reported at the oil field. According to Reuters, citing a field engineer, there were at least four airstrikes. He reportedly called them "a warning" directed at Ali Kennah, the commander of the Sebha military zone, appointed by Prime Minister Fayez Seraj last week. Addressing the incident, the Government of National Accord (GNA) announced that it would appeal to the UN over the issue. Earlier on Friday, the LNA declared a no-flight zone over the south of the country, threatening to intercept or even down aircraft that fail to comply. El Feel is located near the El Sharara oil field, one of the biggest in the North African country. 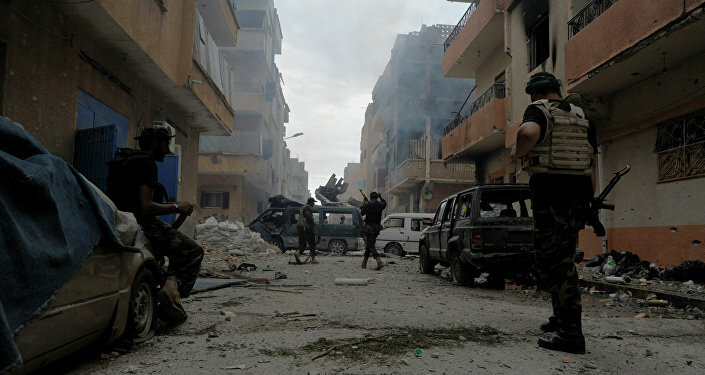 Previously, the Government of National Accord, headquartered in Tripoli, sent their military forces to this part of Libya. According to various reports, this resulted in clashes between the pro-GNA local militia, and the LNA units. The country has been ravaged by conflict since long-time leader Muammar Gaddafi was overthrown in 2011. There are two major forces: the UN-backed Government of National Accord, led by Fayez Seraj, while the Tobruk-based parliament in the east is cooperating with the Libyan National Army, loyal to Field Marshal Khalifa Haftar.